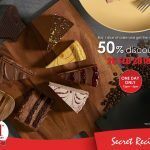 Secret Recipe Kek Mania promotion! 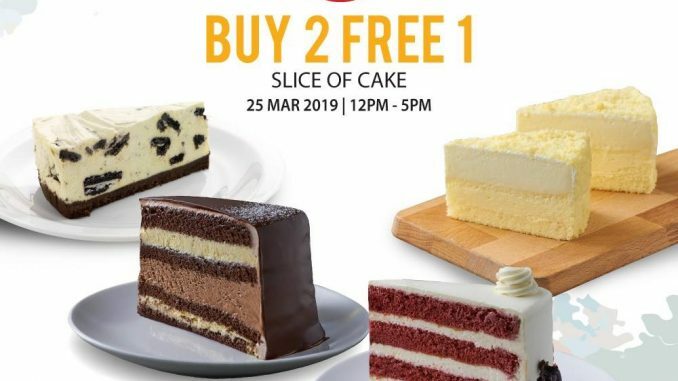 This offer is valid on 25 March to enjoy a buy-2-free-1 promo on their cake slices. 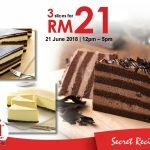 Applicable at all Secret Recipe outlets. Terms and conditions apply, while stock last! 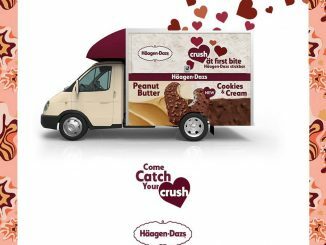 💥Sign up FREE Freshly Roasted Almond + Glass now! 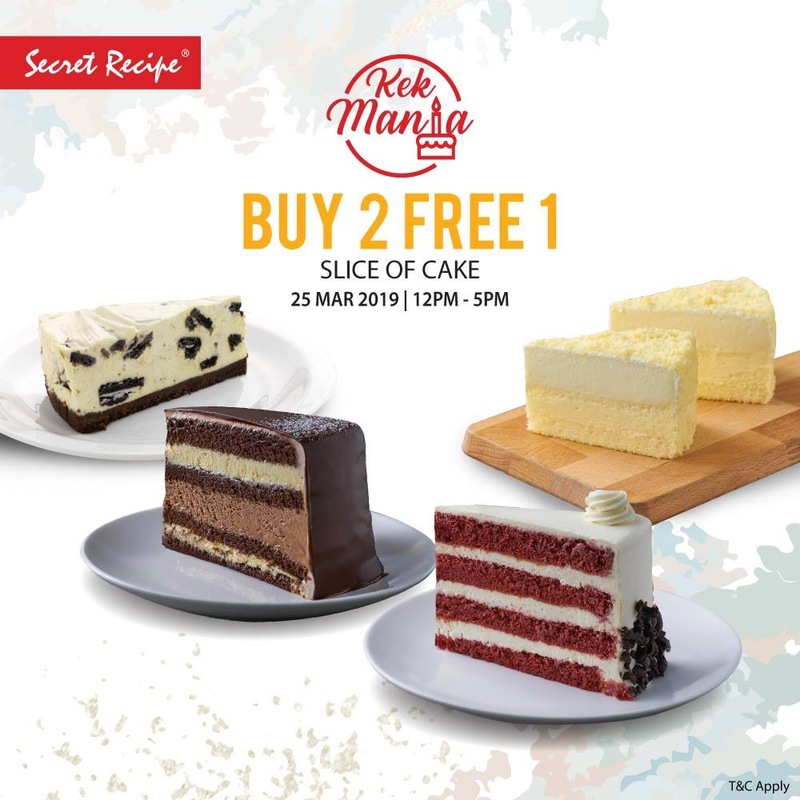 Valid for dine-in or takeaway on 25th March 2019, 12 noon to 5pm only. 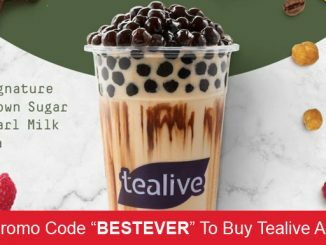 Free item must be of equal or lower value. 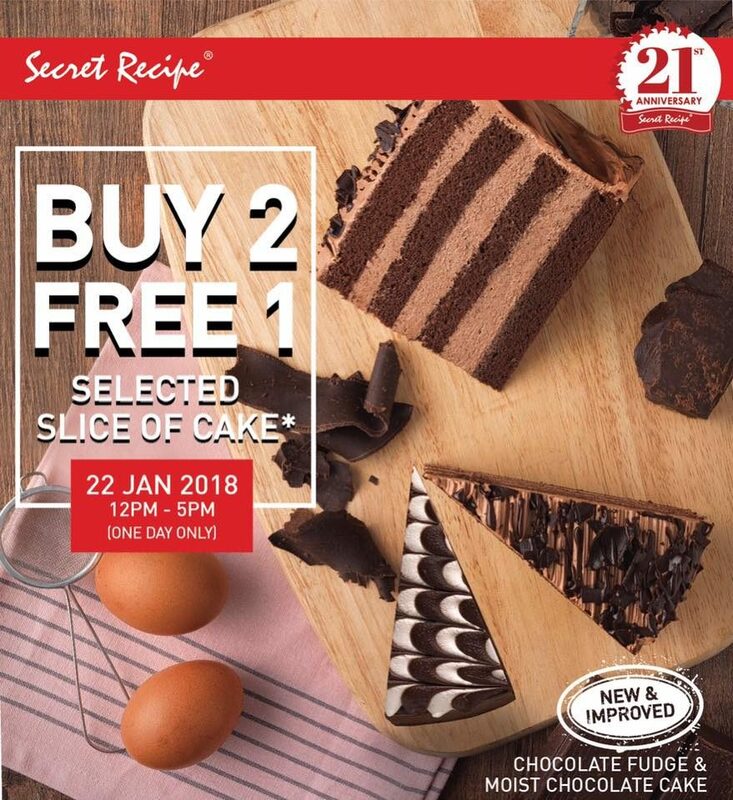 Valid for regular and premium slice cakes only. 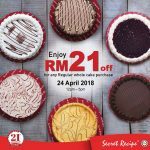 Not valid for square cakes, brownies and chocolate lava cakes. 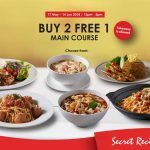 Valid at all Secret Recipe outlets, excluding SR Sabah, Subang Skypark, KTIA, PPUM and Medini Mall. 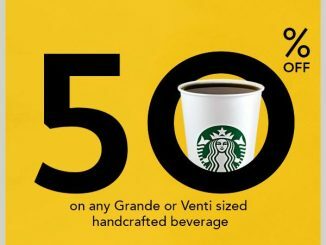 Not valid with other on-going bank promotions, bank discounts, privileges, set meals or offers.